RIR asked two Russian economics experts to comment on Ukrainian sanctions against Russian companies, particularly Gazprom, that block the transit of gas through its territory. 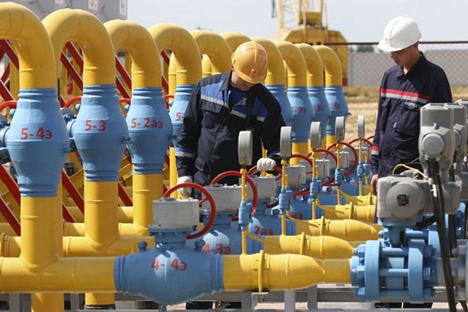 On August 14, the Ukrainian parliament passed a law enabling Kiev to introduce sanctions against Russian companies, meaning that if measures are introduced against Gazprom, the transit of Russian gas through Ukrainian territory will be blocked. What threats does the European economy face if Russian gas supplies are disrupted and do U.S. gas companies have a chance? RIR asked two Russian economics experts for comment.